Seville is a great place to relax and recharge - or party hard, your pick. However, there are also some great spots for Photography! 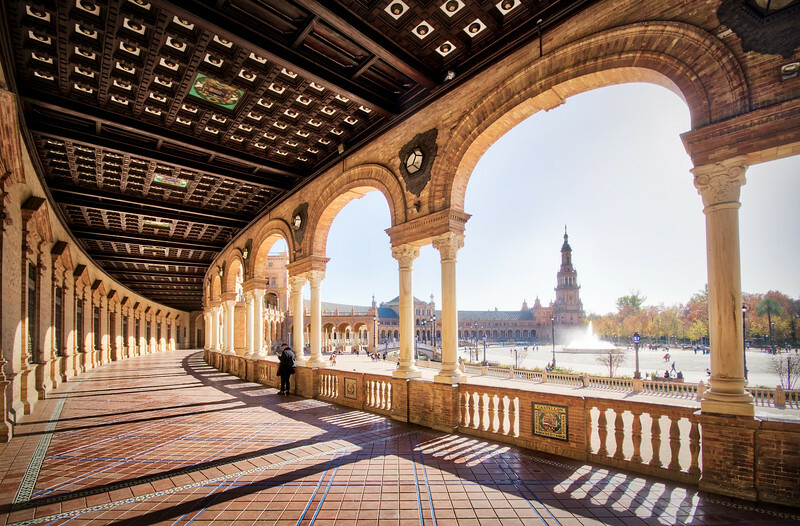 This is Seville's Plaza Espana - one massive park-like area that features a ginormous half-circle building with two levels.